Insured contract is a defined term under the standard ISO general liability policy. Its meaning is important because it determines the types of contracts that are covered under contractual liability coverage. The term insured contract includes the six categories of contracts described below. A lease gives you the right, in exchange for a fee, to use certain premises for the purposes outlined in the lease. A lease of premises qualifies as an insured contract. However, the definition of this term specifically excludes that portion of any lease in which you agree to compensate a landlord for fire damage to the building. For example, suppose that you lease a building from Tom. The lease requires you (the tenant) to indemnify Tom for any damage that occurs to the building during the term of the lease. Late one night, vagrants start a fire that causes damage to the building. The fire didn't result from your negligence. Nevertheless, you are obligated under the lease to reimburse the landlord for the damage. If Tom files a lawsuit against you demanding payment for the damage, your liability policy won't cover the loss. An agreement to indemnify the premises owner for damage by fire is not an insured contract. In the previous example, suppose the fire broke out after an employee of yours disposed of a lit cigarette in a trash can. In this case, the fire resulted from your firm's negligence (your company is liable for negligence committed by employees). Fire damage to rented premises for which you are legally liable under common law (not because of a contract) is covered under Bodily Injury and Property Damage Liability. This coverage is separate from contractual liability. A sidetrack is a short section of railroad that connects to the main track. It provides a business convenient access to a railroad. A sidetrack agreement is a contract in which a railroad allows a business entity to use the sidetrack. In exchange, the business promises to indemnify the railroad for any lawsuits that arise from the business' negligent use of the sidetrack. That is, if someone is injured on the sidetrack due to the business' negligence and sues the railroad, the business will pay the cost of the lawsuit. An easement allows someone to use property that is owned by someone else. For instance, Bill has no direct access to his business property from the main road. Jeff owns commercial property adjacent to Bill's. The two sign an easement agreement in which Jeff allows Bill to use Jeff's driveway as a means of accessing Bill's property. Bill cannot use the driveway for any other purpose. A license gives someone permission to use the property for a specific purpose. For instance, a city gives a person a license to operate a barber shop at a specific location as long as certain requirements are met. When a business engages in a hazardous activity inside a city, and the activity injures someone, the injured party may sue both the business and the city. To protect themselves, cities often pass ordinances requiring businesses to indemnify them against third-party lawsuits that arise from the businesses' negligence. For example, window washing is potentially hazardous, especially on tall buildings. Thus, a city might enact an ordinance that imposes an indemnification obligation on all window washers. If a window washer accidentally injures someone or damages someone's property while performing his work and the city is sued as a result, the window washer must pay the costs related to the suit. Because of the ordinance, the window washer must indemnify the city even though he or she has no specific contract with the city. Building owners often hire elevator servicing contractors to maintain the elevators in their buildings. In a typical elevator maintenance agreement, the contractor agrees to indemnify the building owner in the event the contractor accidentally injures someone or causes property damage, and the injured party sues the owner. This is a catch-all category that includes all contracts in which you (the named insured) assume the tort liability of someone else. That is, it includes any contract in which you agree to indemnify another party for the cost of a claim or suit against that party by someone who has suffered bodily injury or property damage due to your negligence. For example, suppose that Larry's Landscaping rents a lawn mower from Edwards Equipment. Edwards requires Larry to sign a contract containing an indemnity agreement. In the agreement, Larry promises to indemnify Edwards if Larry's Landscaping accidentally causes bodily injury or property damage to a third party while using the lawnmower, and the injured party seeks restitution from Edwards Equipment. The contract meets the requirements for coverage under the landscaping firm's contractual liability insurance. The coverage afforded for the last group of covered contracts is often called blanket contractual liability coverage. It is called blanket coverage because it includes all contracts that meet the description outlined above. These contracts are covered automatically and need not be listed on the policy. An agreement to indemnify a railroad for bodily injury or property damage arising out of construction or demolition operations, within 50 feet of any railroad property. For example, suppose you are a paving contractor. Your firm has been hired by a city to repave a road that crosses a railroad track. Before you can proceed with the work, the railroad requires you sign an indemnity agreement protecting it from lawsuits. 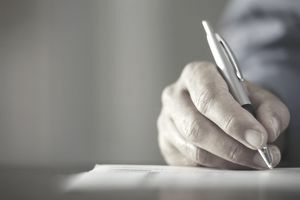 By signing the contract, you promise to indemnify the railroad for the cost of any lawsuits by third parties who have been injured as a result of your work. The indemnity agreement is not an insured contract under your liability policy. An agreement to indemnify an architect, engineer or surveyor for injury arising out of his or her professional acts. Professional liability is not covered under your general liability policy. Agreements to indemnify someone else for injury arising out of your professional acts as an architect, engineer or surveyor. Professional acts are not covered by your general liability policy, whether they are committed by you or someone else.